San Mei AKA Emily Hamilton began her musical journey at the keys of her family piano, a consequence of a love ingrained and inherited from her dad’s favourite Beatles records and penchant for classic 60’s pop. San Mei is enamored with the transportative nature of music, her guitar heavy, delay ridden, dreamy pop explores the hyper-blaze of existence and the intricacies of the in between. Family and home have always been integral to Hamilton’s creative process. The daughter of Chinese-Malaysian and New Zealand born parents, her family immigrated to Australia at an early age. Her parents, resilient and sacrificial, nurtured and encouraged her creatively, instilling in her a gift that she would lean on heavily to help diffuse and navigate the chaos of growing up and forging her identity. Using art as therapy, her songs became a conduit for escape and to shoulder the loss of her mother. Armed with just a MIDI-keyboard and a Macbook San Mei was born. Her DIY project quickly gained groundswell and nods from national tastemakers Triple J, and further afield from heavy weights NME and NYLON. The DNA of her creativity and pop-influencers matured, taking tips from her guitar driven heroes Black Rebel Motorcycle Club, Cat Power and Feist. San Mei shrugged off the bedroom-pop producer epithet and landed in the fuzzy world of dream pop, fused with over-driven, psych tinged guitars, and atmospheric synth melodies, and this is where she found her sonic shelter. 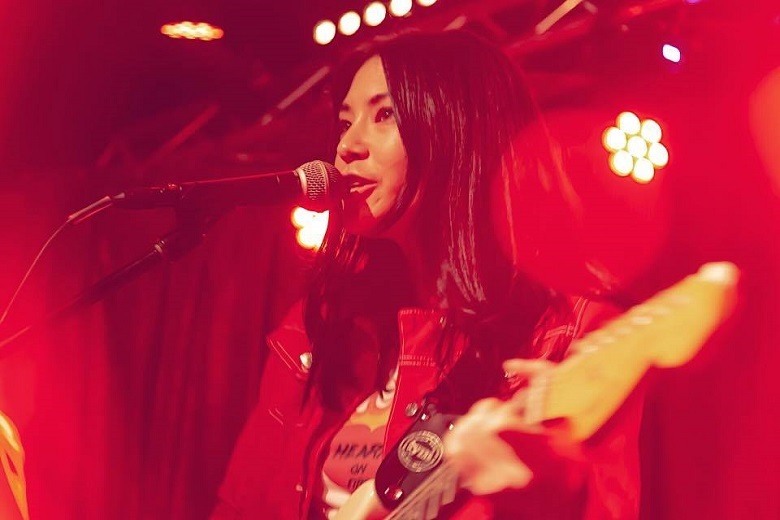 Emerging from the haze, came her first full EP: Necessary, which garnered attention from triple j, with lead single ‘Rewind’ being added to rotation. Follow up single ‘Until You Feel Good’ landed on global new music playlists. Hamilton then joined forces with producer, songwriter and musical phenom Oscar Dawson (Holy Holy, Alex Lahey, Ali Barter, British India, Robbie Miller, Joyride) after meeting at BIGSOUND 2017. Almost instantly and undeniably, a creative connection was solidified. Taking on Dawson as a producer has challenged and galvanized the sonic evolution of San Mei. But sweet one you could die.